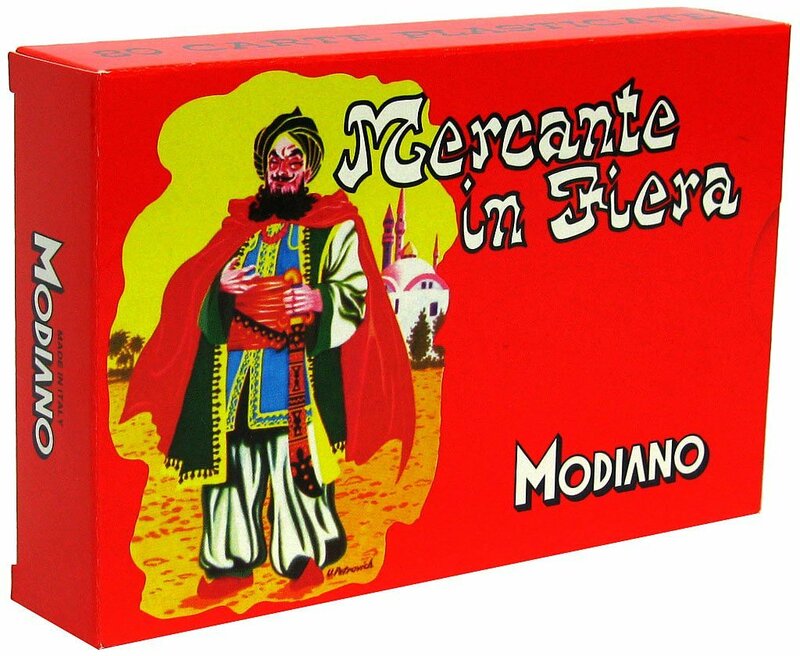 Mercante in fiera, Merchant at the Fair, the mild gambling classical Christmas traditional Italian family game. In traditional sets, the pictures are inspired by nature or by everyday?s life: subjects can be animals, or flowers, or fruits, or household objects, or pieces of furniture, people, craftsmen , etc. 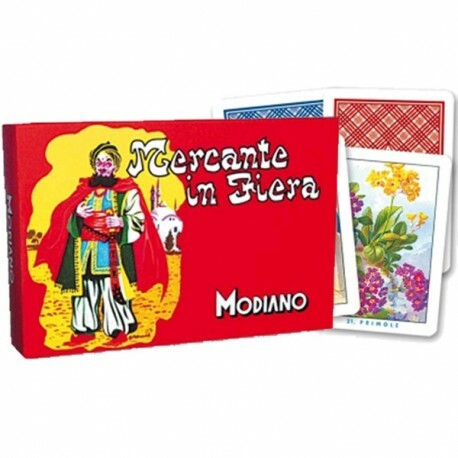 Mercante in Fiera is a sort of mild gambling game, merely based on luck, by which kids and adults alike can play with equal opportunities of winning. The aim of the game is to win the 3 cards that the auctioneer (merchant) has secretly drawn and put on the table with the prize on it, memory, players negotiations and a skilful hilarious auctioneer are an essential key point for a great game. Modiano duplex printing to the highest quality.